Journalist, lawyer, MLA (1871-1874), MLA (1875-1878), MP (1878-1882), judge. Born in Ste. Martine, Canada on 26 December 1840, son of Joseph and Marie Euphemie Dubuc, he worked in the United States before attending Montreal College (where he met Louis Riel) and McGill University. Shortly after his graduation from McGill in 1869 and his call to the Quebec Bar, he came to Winnipeg, joining Riel’s provisional government and engaging in journalism. In December 1870, he was elected to the first Manitoba Legislature for the St. Norbert constituency, re-elected in 1874, and subsequently served briefly as Attorney General (1875-1878) and Speaker. He was appointed to the Council of the North-West Territories in 1872. Dubuc served as one of the defence counsel in the trial of Ambroise Lépine in 1873-1874. In 1878 he was acclaimed to the House of Commons as a Conservative from Provencher. A year later he was appointed to the Manitoba Court of Queen’s Bench, becoming Chief Justice in 1903 and retiring in 1909. He served as a Bencher for the Law Society of Manitoba, from 1877 to 1880. In 1877, he was a member of the First Convocation of the University of Manitoba. He suffered heavy financial losses from land speculation after 1880. 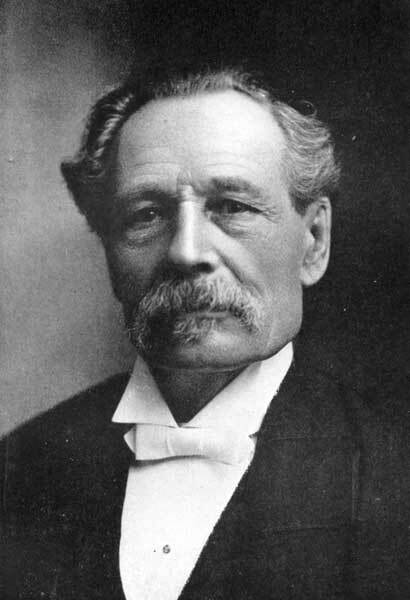 He was a member of the original council of the University of Manitoba in 1877 and was appointed its Vice-Chancellor in 1888. In 1907 he received an honorary doctorate from University of Toronto, and was created Knight Bachelor in 1912. In 1912 he was the first French Canadian from Western Canada to be knighted. In June 1872, he married Maria Anna Hénault of St. Cuthbert, Quebec. They had ten children: A. Joseph H. Dubuc, Gustave Dubuc (c1875-? ), Flavie Dubuc (1876-1962, wife of Jean Henri Bourgouin), Lucien Dubuc (1877-? ), Antonin Dubuc (1879-? ), Berthe Dubuc (1880-? ), Albert Dubuc (1882-? ), Maria Dubuc (1883-?, wife of Thomas B. Molloy), Marie Adrienne Alexandrine Dubuc (1885-?, wife of Herbert H. Cottingham), and Anna Marie Jeanne Dubuc (1889-?). He died at Los Angeles, California on 7 January 1914. He is commemorated by Dubuc Street in Winnipeg. His papers are at the Archives of the Archbishop of Saint-Boniface and at the Archives of Manitoba. Un Grand Chrétien, Sir Joseph Dubuc, 1840-1914 by E. Lecompte (1923). Autobiographie et lettres by Sir Joseph Dubuc (1888). Joseph Dubuc, Dictionary of Canadian Biography XIV, 313-14. “Sudden death of Sir Joseph Dubuc,” Manitoba Free Press, 8 January 1914. Obituary [Mrs. J. H. (Flavie) Bourgouin], Winnipeg Free Press, 6 November 1962, page 24. We thank Linda Spear for providing additional information used here.